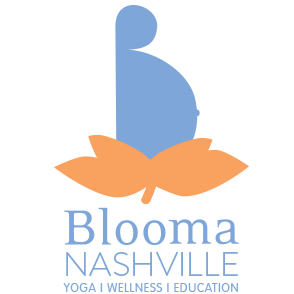 Start taking classes at Blooma Nashville Yoga and other studios! Always a favorite! She is amazing! I thought I was working my abs and arms the whole time and woke up with sore legs! Great full-body workout! Best class I’ve taken at Blooma. Megan is AMAZING. Her voice is so calming and the entire class is like a fluid hour and fifteen minutes of meditation and connection. I left feeling SO relaxed and recharged. Came in with a headache from the day, left feeling renewed! She is seriously incredible. So many great modification options and her playlist was perfect as well. I’ll definitely be returning!! One of my favorite classes. I always leave with my neck and shoulder tension virtually gone. The eye pillows and head massage at the end are a nice touch. Plenty of modifications if needed. Great environment and welcoming instructor! Such a fantastic class. Builds a sense of community with other expectant moms while also building muscle. Can’t wait to go back. Its a great class, but was hard with my baby in the wrap. I think he has just outgrown the class. Loved Blooma. Megan was amazing and so welcoming. It was a perfect environment for any level of yoga, and a great 75 minutes to connect with my body and baby. I will be returning!